The Commonwealth Court of Pennsylvania recently determined that the multiple trigger rule, and not the manifestation rule, is the proper standard to use when determining whether an insurance policy is triggered in an environmental property damage claim involving a long latency period between exposure and manifestation. See Pennsylvania Manufacturers’ Association Insurance Company v. Johnson Matthey, Inc., et al., 2017 WL 1418401 (Pa. Commw. Ct. Apr. 21, 2017), This decision, which is at odds with statements by the Pennsylvania Supreme Court is a 2014 decision, creates uncertainty regarding the trigger rule that will likely need to be resolved again by the Supreme Court. Historically, Pennsylvania courts have applied these two different trigger rules to determine what policy or policies are triggered where the policy requires that property damage or bodily injury “occur” during the policy period. Under the manifestation rule, coverage is triggered by the first manifestation of the injury. However, in 1993, the Pennsylvania Supreme Court in J.H. France Refractories Co. v. Allstate Ins. Co., 626 A.2d 502 (Pa. 1993), carved out an exception to the manifestation rule by using the multiple trigger rule in a case involving injury due to asbestos exposure. Under the multiple trigger rule, triggered policies are those in effect from the moment of first exposure to the condition that caused the injury through the point of manifestation of the injury. Since 1993, insurers and policyholders have tested whether the multiple trigger rule of J.H. France applies to cases involving other injuries and causes. Then, in 2014, the Pennsylvania Supreme Court issued its decision in Pennsylvania Nat’l Mut. Cas. Ins. Co. v. St. John, 106 A.3d 1 (Pa. 2014). The court held that the manifestation rule applied to determine when coverage was triggered in a case where leaking toxic water caused injury to a dairy farm’s cattle population. The St. John court distinguished the J.H. France court’s use of the multiple trigger rule as based on the specific facts of that case, including the physiological progression of asbestos-based disease. 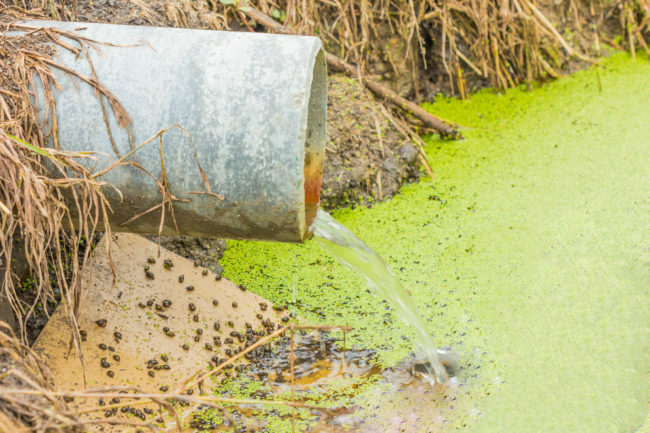 In addition, the court specifically refused to extend the multiple trigger rule to environmental contamination cases involving continuous, progressive property damage. In Johnson Matthey, the insurer had been defending its insured in an environmental contamination claim under a reservation of rights. The claim involved allegations of pollution dating back to the 1960s and 1970s that was discovered in 1988. Shortly after the St. John decision, the insurer withdrew the defense and filed a declaratory judgment action to establish that under the manifestation rule its policies were not triggered. The Commonwealth Court denied the insurer’s motion for summary relief and held that the multiple trigger rule of J.H. France applies to claims involving a long latency period between exposure and manifestation. The court stated that because the facts in St. John did not involve a long latency period between the cattle’s exposure to the contaminated water and manifestation of injury, it was factually distinguishable from long term, progressive property damages claims like the environmental contamination at issue in Johnson Matthey. The Commonwealth Court decision does not end the debate over how broadly J.H. France’s multiple trigger rule will be applied. While the Commonwealth Court’s decision could be viewed as a logical extension of J.H. France, it is contrary to dicta in the Supreme Court’s decision in St. John. Given the unique procedural posture of the case, the Commonwealth Court’s decision can be appealed as a matter of right to the Supreme Court. If that occurs, the Pennsylvania Supreme Court will have an opportunity to address the competing trigger rules and bring clarity to the situation.